Enter the security code shown. 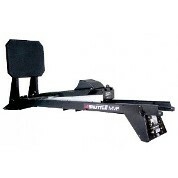 The Shuttle MVP is a multi-functional, versatile piece of equipment that is great for strength training, conditioning and rehabilitation. Through the use of a variety of different levels of resistance progressive improvements in lower extremity motions, foot and ankle strength and ‘robic capacity can be achieved.